ENCINITAS, Calif., July 24, 2018 /PRNewswire/ -- Neurohacker Collective is expanding its product development team significantly. The move coincides with consumer demand for new formulations in the wake of their Qualia nootropic product line's success. The company expects to accelerate product development substantially, releasing several significant products over the next year. The team expansion will enable the development of solutions for healthy aging, sleep, anxiety, pain, mood, metabolic health, fitness performance, immune support, and more. Neurohacker Collective is developing solutions for other aspects of health such as sleep, anxiety/mood, and pain. Notable additions and changes to the team include Shawn Ramer, PhD; Gregory Kelly, ND; and Sara Adães, PhD. Shawn Ramer, PhD joins as SVP of Product Development. Ramer most recently served as SVP of Information Technology for the global pharmaceutical company, Bristol-Myers Squibb. At BMS, Ramer held several roles that combined his scientific, R&D and IT expertise. Prior to Bristol-Myers Squibb, Ramer held roles in chemistry, R&D, and information management for Hoffmann-La Roche, a global pioneer in pharmaceuticals and diagnostics. Ramer earned his PhD in organic chemistry from the University of Alberta, and completed post-doc work in bioorganic chemistry at Harvard Medical School. He has now joined Neurohacker Collective in an on-going role as SVP of Product Development. Gregory Kelly, ND signs on as Lead Product Formulator, another major coup for the company. Selected from hundreds of applicants, Dr. Gregory Kelly is a naturopathic doctor and subject matter expert on nutrition, wellness, and preventive medicine. Some of his recent groundbreaking research is featured in his book, Shape Shift: The Shape Intelligence Solution. His solution-minded approach to problems and broad scope of experience, including clinical practice, nutraceutical research and formulation, and medical publications position him perfectly for his role as Neurohacker Collective's Lead Product Formulator. Sara Adães, PhD is a neuroscience researcher; her work has included research in neuropharmacology, neurobiology of pain, and inflammation and neuropathy caused by osteoarthritis. She has a Licenciate's Diploma in Biochemistry and earned her PhD in Neuroscience at the Faculty of Medicine of the University of Porto, in Portugal. Adães has been working part-time for Neurohacker Collective since 2016, and will now be expanding her research role, developing new product formulations. "The Neurohacker product development philosophy is deeply focused on the complex systems modeling necessary to deliver real efficacy at scale in the nutraceutical space," says CEO, James Schmachtenberger. "We look to provide people with the products, resources, and tools they need to help their whole being—mind, brain, and body—work together in harmony. Our expanding product development team comprised of doctors, neuroscientists, and chemists have identified product opportunities where we can use our unique formulation process to deliver the best product in the market for each category. As our company grows and the science evolves we are committed to continuing to develop best in class products to enhance well-being." 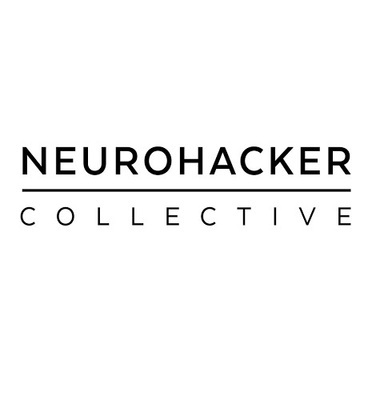 Founded in 2015, Neurohacker Collective's mission is to create best in class well-being products by employing a unique methodology to research and development based on complex systems science. Rather than overriding regulatory systems with chemicals designed to move a biomarker in a particular direction, this approach focuses on supporting the body's ability to self-regulate. Visit https://neurohacker.com to learn more. Qualia Mind is a premium supplement that helps support mental performance and brain health. Specifically designed to promote focus, support energy, mental clarity, mood, memory, and creativity. For more information about Qualia Mind visit https://neurohacker.com/qualia-mind.